eBay is so popular that even the Microsoft Word knows how to spell it correctly! So can you afford to not understand the world’s most popular online shopping platform? Well, we are afraid not! 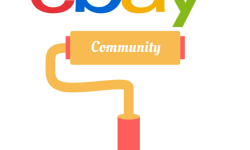 So let us help you make more sense of eBay by understanding various icons you see. To being with a blue shopping cart means your buying action is complete while a gray dim shopping cart reflects an incomplete action. Then there are certain listing icons which you need to understand like this shows the item is available for auction while shows the product is a fixed price item. signifies the Best Offer while is used for Classified Ad format. You may also see occasional icons/symbols knowing which can be very beneficial. Some symbols signify Checkout process just like the ones for the buyer. A blue shopping cart signifies complete checkout to a buyer while a gray dim cart hints that the buyer still hasn’t completed the transaction. Similarly, there are certain icons which will help you make most of eBay transaction in lesser time. Like a blue Dollar, sign signifies that the buyer has paid for the items while a dim gray dollar sign means that the buyer hasn’t paid. So everyone who will opt for Cash on Delivery on eBay will be shown in your account with a gray dollar sign. The dollar sign will show the EURO icon if the buyer has done the purchase on eBay’s European version or by using Euro currency. In the same manner, sellers may see a Pound sign for every purchase done on eBay’s UK site or for the products paid by pound currency. Some other relevant signs like means that the payment has been refunded. This is important to understand for sellers as some buyers ask for a refund if the item is not up to the mark or hasn’t been delivered to them. This icon shows that PayPal payment is pending and this one highlights that the Item is partially paid for. 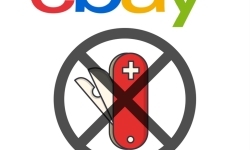 When you see this icon - , it means you as a seller has received electronic payment. When this symbol gets flashed, - it means the amount shown is the final value fee while this icon shows the total requested amount. 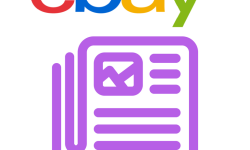 There are three more icons which a seller needs to be conscious of; these are related to the buyers’ feedback which may make or mar your eBay selling campaign. or icons means you as a seller has received neutral Feedback, or signifies at a positive Feedback but this or hints at negative Feedback. The knowledge of all these icons would definitely help you manage your eBay account for better & more profitable results.